Jonathan Scott plays the Prelude & Fugue in C major BWV 553 on the Škrabl organ in St Mary's Church, Beaminster. 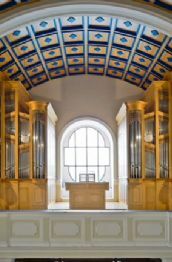 Skrabl has been awarded the contract to build a new organ for Our Lady of Victories Church in Kensington, London. This new organ with mechanical key action and electric stop action was completed last year in the magnificent Mother of God Church in Zaplaz, Slovenia. 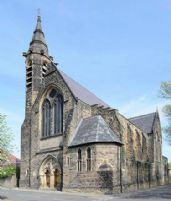 Skrabl have been instructed to produce a new organ with mechanical action for the Church of the Holy Rood in Barnsley. This magnificent building was not originally a Church but in the 4th Century AD marked the tomb of the Roman Emperor Diocletian . 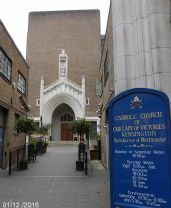 It wasn’t until the beginning of the Seventh Century that the building was consecrated as a Christian place of worship followed some 500 years later when the impressive bell tower, recognised by all its present day tourists was added.